Angelica Mercado is a current Mount Holyoke College Student majoring in Anthropology and Education Policy and Practice. Born and raised in an impoverished rural town in the Dominican Republic, Yasica Arriba, Angelica has been dedicated to utilizing the resources accessible to her to alleviate some of the challenges her community faces, such as lack of basic education and poverty. Angelica founded EDUSINLI in 2016, a community-based grassroots organization empowering rural youth and children in the Dominican Republic to continue their education and be active leaders of their Community. 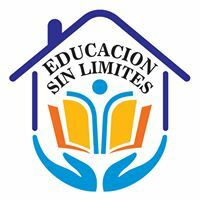 Some of the projects EDUSINLI offers include the donation of school supplies, mobile library, and a mentorship program for youth and children to broaden their horizons and transition out of poverty.